I have a question for you, Are you fishing or following Jesus? Oh, sorry, I didn’t introduce myself, I’m Simon Peter. You might have heard of me, I was one of the 12 disciples that followed Jesus around. Yea, I was the one who was always shooting my mouth off, had the funny southern fisherman’s accent, and on and on. When Jesus found me, I was growing tired of fishing and life. I had fished for a living for years as there weren’t many jobs in the area. At the end of the week, me and my brother Andrew would go to the local synagogue to hear the teachers. They would explain what laws we were breaking and how we were never good enough to fulfill the torah. The Pharisees were particularly obnoxious; they loved to emphasize the 500+ man made laws that were tacked on to the 10 commandments that Moses gave our fathers. Andrew was right. Even his introduction was simple, He simply said Follow Me, that was it. He was an instant hit with me. After all, He was nice to everyone except the Pharisees who had made our lives so difficult. But this Jesus made things so simple. 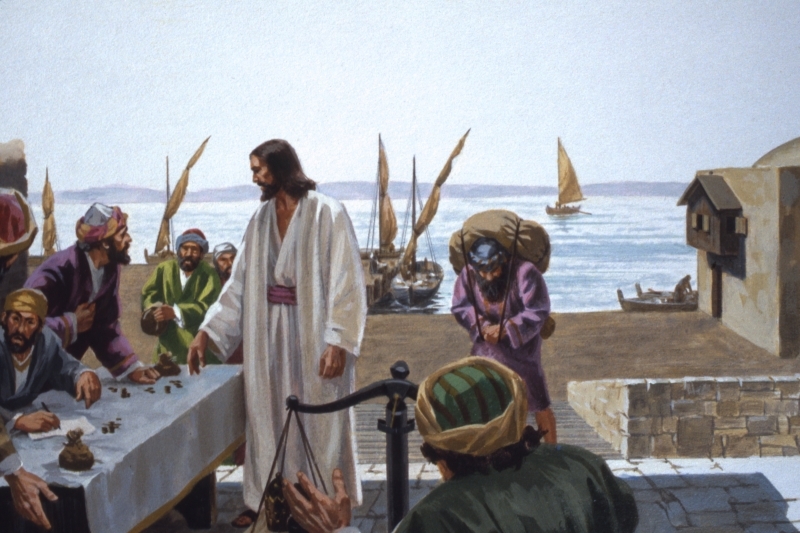 His stories were simple, most of everyone understood them except the Pharisees. Of course there were a couple of times when we asked later what He really meant by His words. But, by in far, the simple man could understand Him all the time. Even all of my old fishing buddies would tell me how much they enjoyed listening to his sermons. His love for each of us was so unbelievable, yet unique. He knew everything about us the moment He met us yet all we felt was love and such unmerited compassion. I must say, my eyes got really big when He called Matthew. Matthew was a tax collector and was hated by all of the locals. I mean, he cheated all of us out of our hard earned money. Matthew was a smart guy, he was no fool. He could feel all of our thoughts towards him so he immediately had all of us over for dinner. He was already experiencing love, compassion and forgiveness and wanted all his friends to meet Jesus. So he invited all of his tax collector friends and the other types of friends you would assume that would be around for the money ride. It was one of the most amazing nights of my life. Jesus was just showing so much love, forgiveness and compassion. He was so kind to the wildest of sinners. Not one time did I notice even a hint of condemnation to the people who deserved it the most according to our law. I mean, people my wife would have never approved me being around, much less the Pharisees. Oh man, and were those guys frustrated with Jesus that night. His response was eloquent, yet so simple that it moved his new friends with compassion. The head Pharisee wagged his head and dared Jesus to not fulfill the law this time around since the law commanded those caught in adultery to be stoned. You have to understand that the Pharisees always questioned Jesus why He and us disciples were always breaking one of the laws. As the woman was brought closer, my mouth dropped, she was the wife of one my best customers. He was a good man and always brought his 8 year old daughter to the fish market to buy from our latest catch. My chest tightened and my face turned blood red. I too was bending down to pick up a stone. This woman deserved death! The multitude silenced as Jesus stooped down to write in the sand. I was so angry, I couldn’t read his words, I was just focused on aiming the stone directly at this adulterous woman. It was so quiet that you could hear each grain of sand move as he wrote. Them calmly, Jesus looked at each Pharisee and said “He that is without sin, let him cast the first stone”. You only thought the crowd was quiet but now they were in awe of His words. One by one each Pharisee turned and left. This time around, I wasn’t cheering Jesus on against the Pharisees. No, I was humbled. I too was in the same boat as the Pharisees. GUILTY! I dropped my stone and mouthed something to Bartholomew. Jesus’ words although few, made a lasting impression on all of us. Who was I ever to judge another person again when I’m guilty of sin as well. He had already told us, if you are guilty of breaking one commandment, we are guilty of them all. Now do you see why the practice of fulfilling the law was so hard? I wasn’t perfect, I still judged people but those words always came back to my mind when I did. As I turned and looked at the woman, whose life had just been saved, I wiped away a tear. As I cleared my eyes, I saw her weeping. She knew that in the history of Israel , she was the first survivor of this kind. Oh man, what a moment. It was enough that He saved her life but then He changed her life. Somewhere between the words “go and sin no more”, something happened to this woman. Her countenance was slowly changing in front of our eyes and she no longer looked like someone who was just caught in sin. It reminded me later of the time the 10 lepers came and Jesus told them to go and show themselves to the priests. And as they were going, they were all cleansed. They had been doing everything the law required to be cleansed but nothing was working for these 10 men until Jesus spoke the words of healing. You see, I recognized later, the law always frustrates you but His Grace changes you. When you see Jesus for who He really is, you never walk away the same. You can’t. The message of Jesus was always simple. Love God, love yourself and love your neighbor. Love yourself enough to admit that you can’t change yourself. The law can’t change you but His love and grace can. Despite the simplicity of His message, I always wondered who I would follow after He was gone. We had always looked up to someone and I was haunted by His prediction that He would build His church upon me. I know you’re probably laughing at me while reading this, but I was worried. Jesus was everything to me. He talked about this Comforter He was sending but none of us really knew what that was until the day of Pentecost. Who was I going to talk to while I experienced the hardships of ministry? I needed someone else to be Jesus for me but I knew the Pharisees would only try to wear me out with their laws and made up rules. Still, Jesus was always trying to help me. When I talked to him the last time before He left for Heaven, I had just finished fishing with the guys. After Jesus had died and rose from the dead, I started fishing again because, me and the wife needed money. Jesus wasn’t going to be around anymore changing water to wine or making fish and bread appear out of thin air. I had to go back to what I knew. Working things out for myself and letting the chips fall where they may, good or bad. It always seemed that when Jesus showed up when we were fishing, we had nothing to show for our time and efforts. Of course on this particular occasion, it was my idea for us to go fishing. Knowing Jesus would be leaving us soon for good, I thought I might as well get back in the boat and go back to the old familiar way of life. It’s kind of like some of the early Galatians did when they wanted to keep going back to the practice of the law, even though Jesus had already fulfilled the law and brought hope by His Grace. So after hours of casting our nets and no fish, we heard a voice echo from shore say “Cast your nets on the other side of the boat.” I didn’t really believe dropping our nets one more time would be the miraculous time when fish just appeared but that’s exactly what happened. Fish everywhere! John immediately knew it was Jesus. I tell you that guy was always one step ahead of me except when it came to jumping out of boats. Just as I had a year or so before, I jumped out the boat. I was so excited to see Jesus again! I wanted to tell him one more time how sorry I was for denying him 3 times after He was betrayed by Judas. As I reached shore, He looked at me with such compassion; He was reading my thoughts. I was doing everything I could do to show him that I loved Him but my love could never be enough. Each time, I responded more passionate than the time before only to realize it wasn’t enough to just say it. He wanted me to share the love He had given me with others, not keep it to myself. When I first met Jesus , He told me He would make me a fisher of men, yet I had forgotten so quickly and had gone back to catching real fish. You know, He left me in the same way as He found me by saying those simple words, “Follow Me”. This was my last time with Jesus in private and He didn’t want me to forget His simple message of just following Him After 3.5 years, you would think I would have gotten the message but instead, I tried to divert the conversation to John. You can make all the excuses on why you can’t do something but the Master just says, “Follow Me.” Don’t misunderstand me, the actual act of always following Him isn’t easy but His commands are simple and direct. Don’t be surprised when He leads you through fiery trials. But Jesus never left us in the fiery trial, no, He always led us through them. So in closing I want to ask you again. Are you fishing and trying to make this more about you? Or are you following Jesus and putting your attention on what He accomplished and fulfilled on the cross? I know how hard it can be walking through life. I thought I was really getting ahead by working so hard with my fishing nets and trying fulfill the law to make myself a better person. 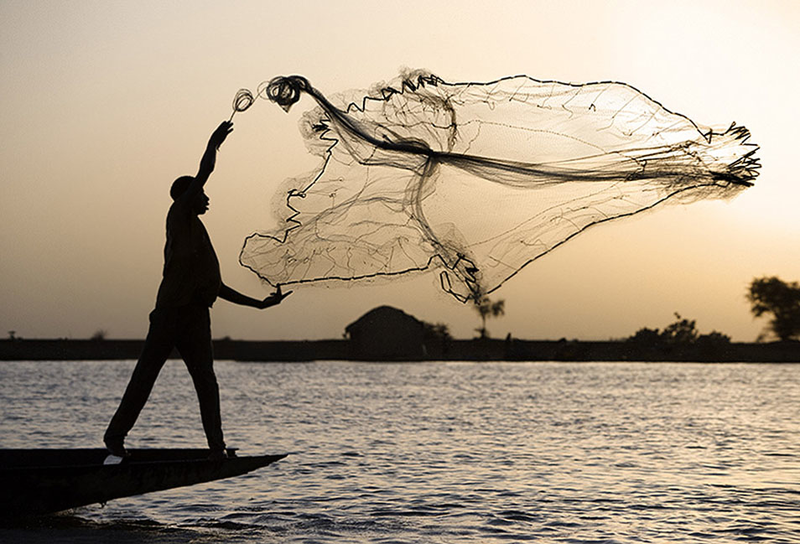 We can all keep casting nets of our 8 step plans to be a better person, but it doesn’t work. You will keep coming up with empty nets. Absolutely live this one ! It is soooo good. You brought it down where we all are!!! Thank you!